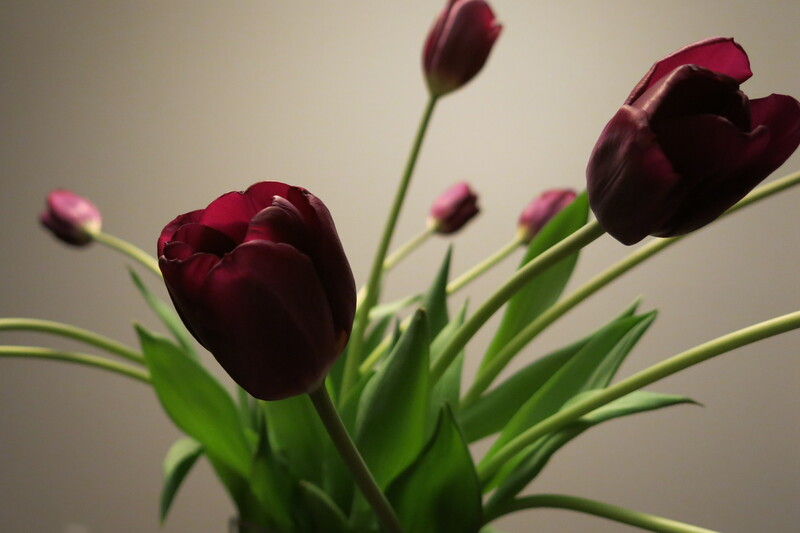 She put them in the vase all neat and obedient, beautifully lined up with just a pleasing amount of randomness. It only took a day before they were all spread out in a dance of wild beauty, reaching, stretching toward the light. I can’t bear to cut them again and set them back neat and tidy. I want to see what happens as they keep dancing toward the light. I want to see the light toward which they’re reaching glow like fire deep in their centers. I want to live it too, want to keep learning how to stop trying to prune and organize Life and just dance wild toward the Light, His fire burning hot in my deepest center. 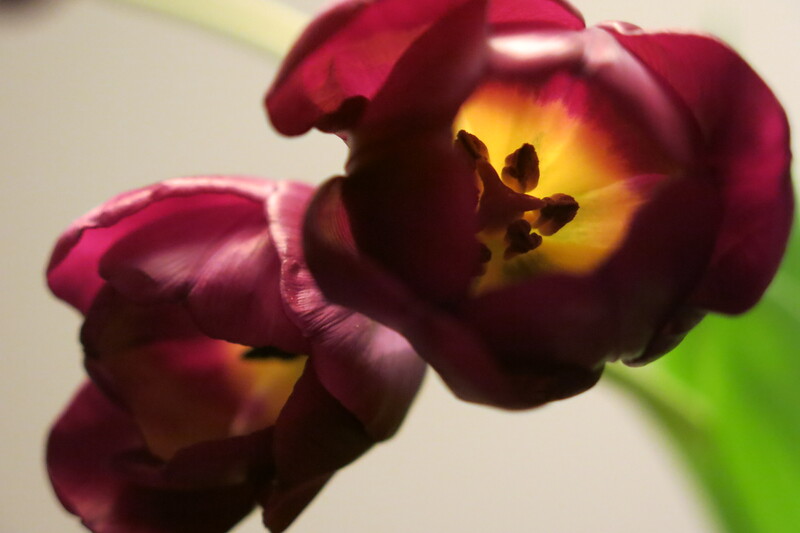 There are a million ways of turning toward the light, and it’s the turning toward the light that makes the tulips dance. There are a million reasons to dance, too. Today's favorite? What’s your favorite reason to dance today? I’d love to hear . . .
Today the leaves in the trees I see from my living room window are dancing in the wind as the sun warms them and I hear Him say ” Be still my child and know that I am God”. There is always a new song to sing and a new dance to be danced. Am I willing to dance today even as my feet feel weary and heavy?? Thank you so much, Klara. “Be still and know that I am God” – just the words I need to hear today too.